Etching is used to distinguish a base material by adding a certain design or labels and names. Some of the popular uses of etching are in nameplates, plaques, trophies, small accessories, and even large signage. Rotary machine etching is less expensive and suitable for mass production, while CO2 laser etching is better for precision work and detailed customization. Wood can be fragile and prone to cracking. Laser etching marks the wood beautifully without putting undue stress on the material. Laser wood etching produces darker shades on wooden bases that are extremely customizable and clearly distinguishable. Complex designs and even photographs can be transferred into flat wooden bases with a simple touch of a button. Lasers can even cut designs on thinner pieces of wood; therefore, adding to the possible design options. Rotary machines etch deeper marks than lasers, which add a greater risk of cracking wooden bases. Rotary machine etched wood retains more of its color and may require additional painting to become more visible. Glass is one of the most difficult materials to etch. It is fragile and extremely prone to breaking. When etching glass, rotary machines are limited to thicker glass with flat surfaces. Wineglasses or other glass objects that are curved or thin make etching impossible with the usual rotary machines. On the other hand, laser encounters very little to no problems when etching glass. Laser leaves a frosted like surface with very little depth, preserving the structural stability of the glass. Glass plaques, nameplates, trophies, and other glass products are now almost exclusively etched with a laser. Acrylic is similar to glass, but with a sturdier nature. It is often used similarly to glass and in various company trinkets and giveaways. Customization is one of the most important factors when involving trinkets for advertising. Most acrylic giveaways will include a detailed company logo or an actual image from a photograph. Lasers are the perfect tools for etching acrylic. Like on glass, lasers create frosted marks on acrylic, which can be as detailed as possible. However, if deeper etches are required—especially for Braille markings—rotary machines are more suitable. When it comes to metals, rotary etching produces a classic engraved look. Laser etching merely marks the surface, often requiring an oxidizing agent to become visible. Unlike lasers, rotary machines actually cut into the metal, leaving clear visible marks. Military or similar dog tags are popular uses of metal engraving, and rotary machines still deliver the best results. But when it comes to more intricate designs, lasers are still the best media to use. Though traditional rotary machines beat lasers when it comes to etching depth and capturing the traditional engraved look, modern CO2 lasers outperform rotary machines when it comes to detail. 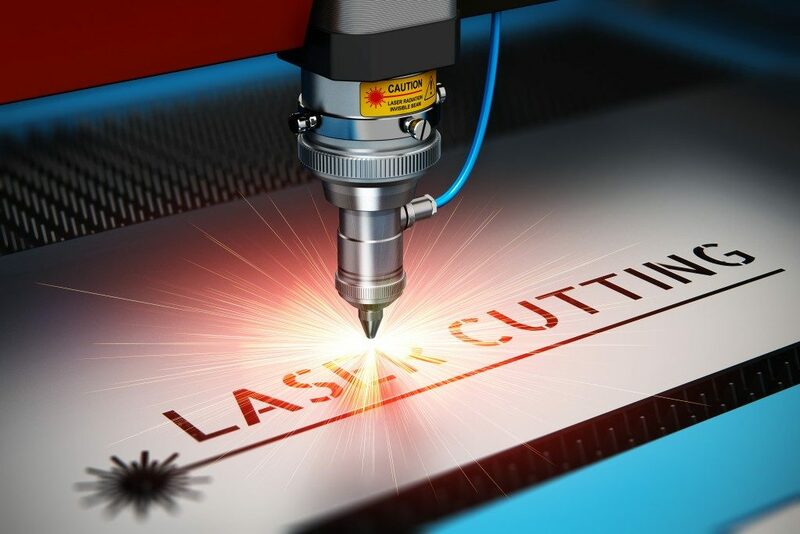 The majority of the etching and engraving industry already use lasers and advances in laser etching technology may soon make rotary machines a thing of the past.